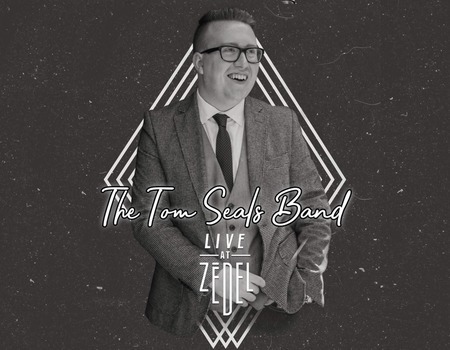 Back by popular demand, following sold out shows at Crazy Coqs this year, and fresh from his sell-out Let the Good Times Roll Tour in 2017 - Tom Seals, who is "quite possibly the future of Jazz/Pop", literally has the world at his fingertips. Having recently appeared at Montreux Jazz Festival, Birdland Jazz Club (New York City), Orange Peel (Hong Kong) and North Sea Jazz Club (Amsterdam), Seals is joined by Dave Swift (Bass) and Pete Long (Sax) - two members of Jools Holland's band - alongside Joel Barford (drums) and Sam Barrett (guitar). Seals is 24 years old and a fresh musical powerhouse of the piano. 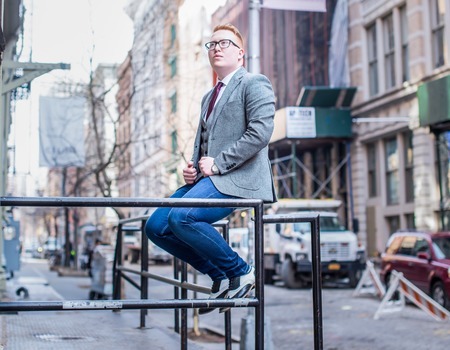 His excellent improvisation skills as well as a distinctive voice have left top industry officials hailing him as one of the UK's finest piano/ vocalists. He appeared at Cheltenham Jazz Festivals' Gregory Porter and Friends, Jools Hollands' Boogie-Woogie & Blues Spectacular and was invited by Jamie Cullum to perform an impromptu 4 hand-1 piano version of Route 66 on his regional radio tour. Last winter saw the release of Seals' debut EP Where I'm At (Live), which soared to number one in the UK Blues Charts. Join Seals and special musical guests for an evening of swing, blues and boogie-woogie at its best.